Crissy Oravits, a native North Carolinian whose love for music has informed all aspects of her life - and especially her relationships with others. By the age of 3, she was touring the East Coast in ministry with her grandmother and other family members in their Gospel singing group, and after high school she became a nurse to support her music habit. Now, years later, she's teaching music to special needs children, including her own, and running a business that has made her a fixture in her community. 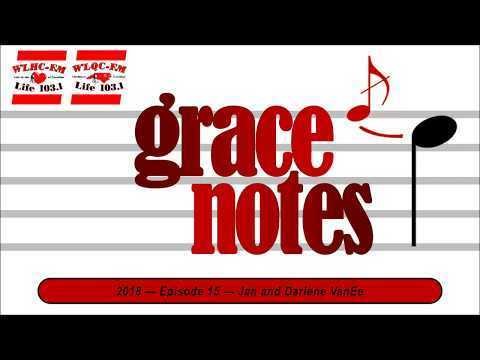 Songs that speak to the theme of Grace Notes, that is songs that inspire, affirm, or challenge. Crystal McIver, a woman whose journey has a difficult start, but whose redirection and optimism are inspiring. Born to parents unable to care for her, she was adopted in fifth grade but later found herself homeless before finishing high school. Crystal has every excuse for failing, but she turned herself around and vigorously pursued her education. She is now an active member of the community, a former teacher, a mother and grandmother, an author, and a business owner. Some of our staff will share special songs about their dads. Jan and Darlene Van Ee, a couple whose paths first crossed in Mexico. They've now been married for 46 years, living and teaching for most of that time in Mexico and together raising 6 children. Darlene is an American of Dutch decent, and Jan is an immigrant from the Netherlands whose family crossed the Atlantic after World War II and settled in western Canada. Seven of their 19 grandchildren now live here in NC. Jan's and Darlene's perspective on things international and the human condition is both spiritual and practical... and refreshing. Ken Wasley, founder and executive director of a nonprofit called Children of Fallen Heroes. Ken's lifelong connection with the military includes his father's history with the 82nd Airborne and the army's elite parachute team, the Golden Knights, and a very personal father-son connection with North Carolina. Ken's priority for supporting the spouses and children left behind - and what he's doing to make that real - is heartwarming and inspiring. Mothers Day Special where some of the staff shares special songs about their moms and/or motherhood. Mike Rowland, retired surgeon and now active grass-fed beef farmer and nutrition lecturer. As an eight-year-old, Mike tended his own vegetable garden and later in college studied agricultural economics, intending to be a farmer. He quickly learned something about the financial realities of buying a farm, however, and decided a career in medicine might help - but with the Vietnam War at its peak, he was then drafted. Mike's perspective on service to others and life's twists and turns, and his love for his wife, make for a story worth hearing. Jean Kitchin, public, servant extraordinaire, has served in a wide range of advisory roles, formal and informal, and her wisdom in counseling others is grounded in years of life experience in business, education, and the media... and in family as a wife, mother, and grandmother. Her faith and perspective on people and social issues, as evidenced in the way she lives, is heartwarming, and her vigor and enthusiasm are inspiring. A special Good Friday-Easter edition. A little music history, a couple of our regular songs, and a few different pieces from well-known artists, including some timeless Grammy award-winning music. Ghetto violence, 9/11, and the personal stories of everyday life - set to music - form the backdrop for this special edition of the "reason for this season." Martha Butler, successful business woman, wife, mother, grandmother - and longtime board member of a youth mentoring program. Her humble beginnings as a black girl growing up in the segregated South served to ground her in her lifelong passion for encouraging young people to dream and to believe in themselves. Her perspective on racial issues, as evidenced by her own relationships, is heartwarming, and her hopeful attitude is contagious. Susan Henson, Founder and President of Pharaoh's Daughter - a non-profit ministry that cares for babies born to women in prison. Susan believes in listening to the stories of others, and as a mother of four herself, she understands the importance of the mother-baby relationship and a stable family unit. Helping these mother's get back on their feet after their time in prison is her calling, and her conviction that broken roads can lead to good places is inspiring. Mickey and Jackie Bailey are founders of a nonprofit organization that built and now operates a self-sustaining orphanage in Zambia. Inspired by their many mission trips to Mississippi following Hurricane Katrina, the Baileys have chosen not to retire but simply, with God's leading, to redeploy their business and people skills in a new arena. Their compassion and perspective are refreshing. Larry Dempsey, is a husband, father, and grandfather, and among other things, a fisherman and retired pediatric dentist. For nearly 30 years now, he has traveled regularly to Costa Rica to do construction. A Board Member of Costa Rica Missions Projects, he shares how and why this overseas "labor of love" became such a big part of the life of this native North Carolinian. 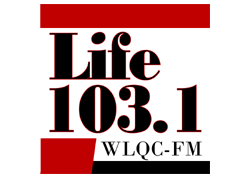 Two gentlemen who are happily playing in the second half of their game of life, Pete Saunders and Will Robinson, happen to be members of our team here at Life 103.1. Their wisdom is Timeless. They'll share their thoughts on relationships and music and the passing of time - with some personal stories along the way. Continuing The Mission is a nonprofit organization that pairs highly trained Labrador Retrievers with veterans diagnosed with PTSD. Suzy Lutz's 30-year connection with the Army, her love of dogs, and her compassion for those who return from war changed people make Continuing The Mission a work of her heart. George Greger-Holt is a retired student assistance counselor whose career centered on substance abuse prevention in young people. We've put together an episode of songs that fit with our typical Grace Notes themes, songs that could have been written about our guests and what they stand for. The songs we've highlighted speak to perspective or dependence on others, and their words of encouragement and challenge are timeless in their relevance to navigating this life we share. Haley Smith, a Lillington native whose story starts with mission service projects as a kid. Her desire to make a difference in the lives of others, in combination with her interest in things international, has taken her to West Africa, as a Peace Corps Volunteer. Haley's honest about missing family and friends, and North Carolina, but she's upbeat about her circumstances and the challenges she faces in Senegal. A New Year's tribute edition celebrating artists who, sadly, as of this year, are no longer with us. We lost a number of remarkable talents in 2017, Timeless singers and songwriters including among others Fats Domino, Glen Campbell, Joni Sledge, Al Jarreau, Don Williams, Tom Petty, and Chuck Berry.